Happy Saints: New 'Works of Mercy' eBook - 10% off till next Monday only! New 'Works of Mercy' eBook - 10% off till next Monday only! 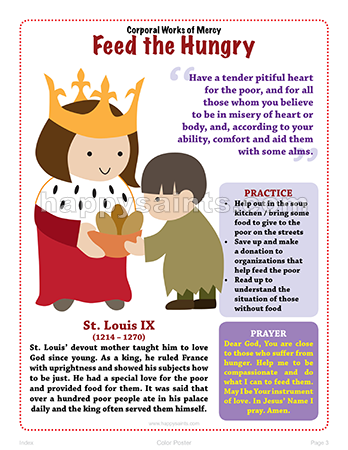 A sample page from the new Happy Saints Works of Mercy eBook! A special edition Happy Saints ebook featuring 14 artworks of the corporal and spiritual works of mercy as practiced by the Saints of God; in printable posters, prayer cards, greeting cards, coloring pages and badges for the Year of Mercy, Lent and other occasions. Purchase it now and get a 10% launch discount! Valid until 1 February 2016 only. Enter promo code WORKS at checkout! View samples and purchase the ebook now! NEW! Works of Mercy eBook - 10% Launch Discount!